If you ever felt there was a distinct lack of Christmas Zombie Musicals out there, then Anna and the Apocalypse might just be the perfect movie for you. 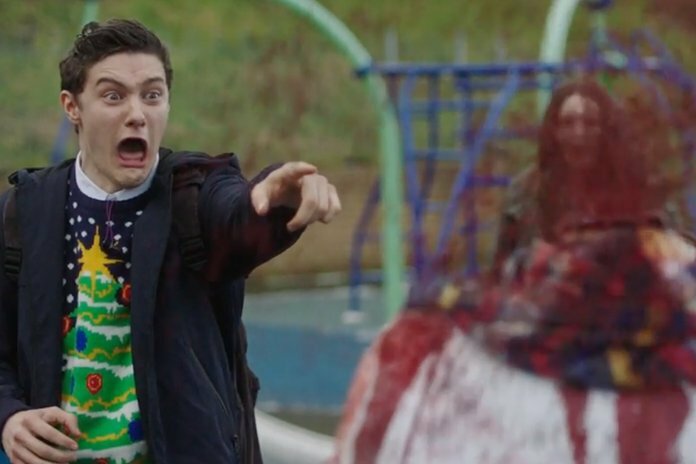 Director Jon McPhail is clearly channeling something along the lines of a Shaun of the Dead Holiday Special with a little bit of Sing Street thrown in for good measure, and for the most part, it works really well. If I have any complaints, it’s that while the style is clearly emulating Edgar Wright, and does so pretty well, the script isn’t nearly as quick witted as what you’d expect from Wright...I also would have liked more practical gore effects, but that’s more a personal pet peeve than an actual criticism. If you enjoy musicals, zombies, or you just like a good R-rated high school comedy, there’s a lot to like about Anna and the Apocalypse. I’m confident that this has a future as a Christmas movie staple for sickos like me and seems like a cult classic in the making.